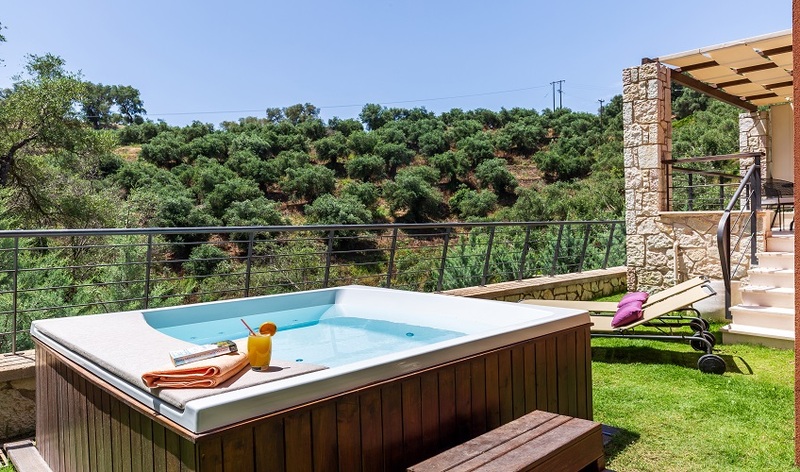 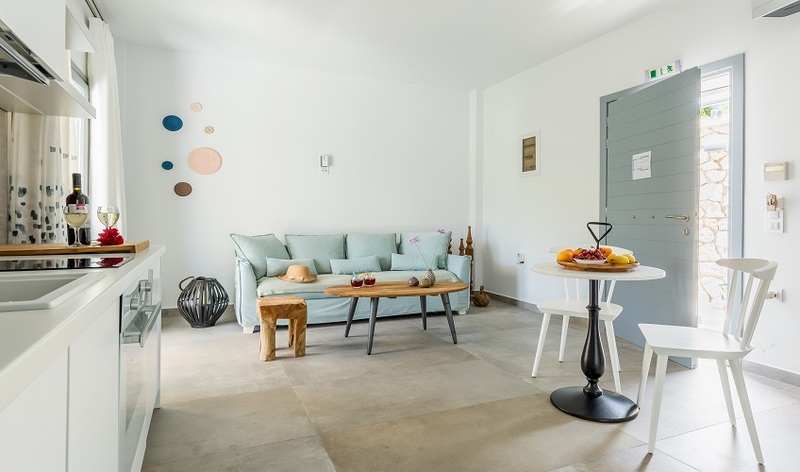 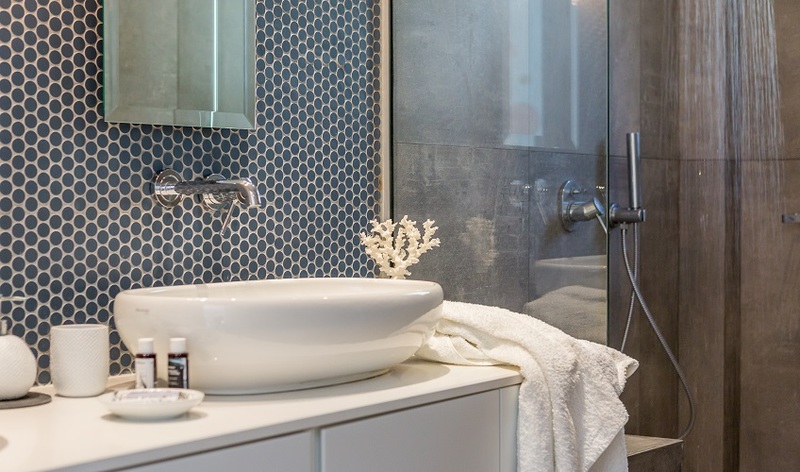 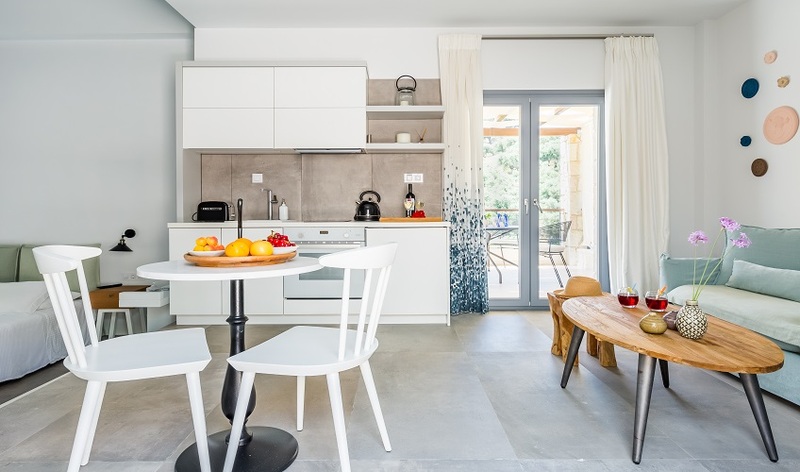 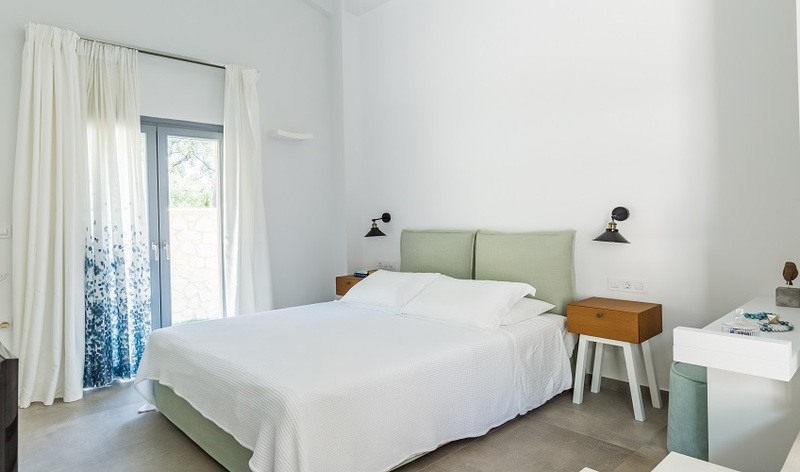 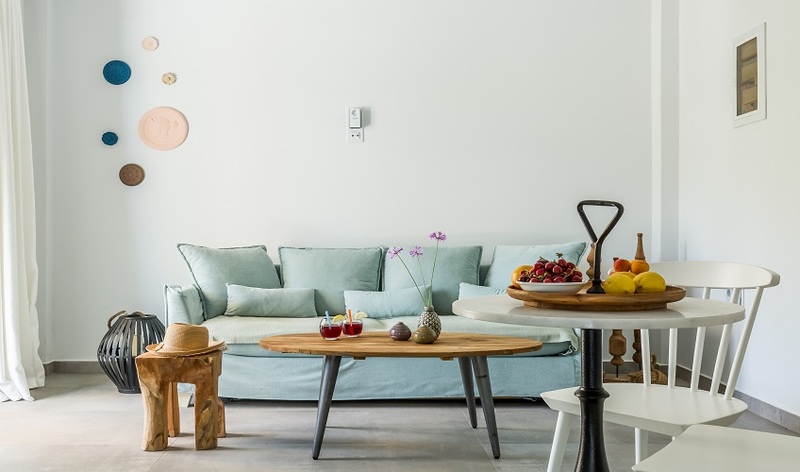 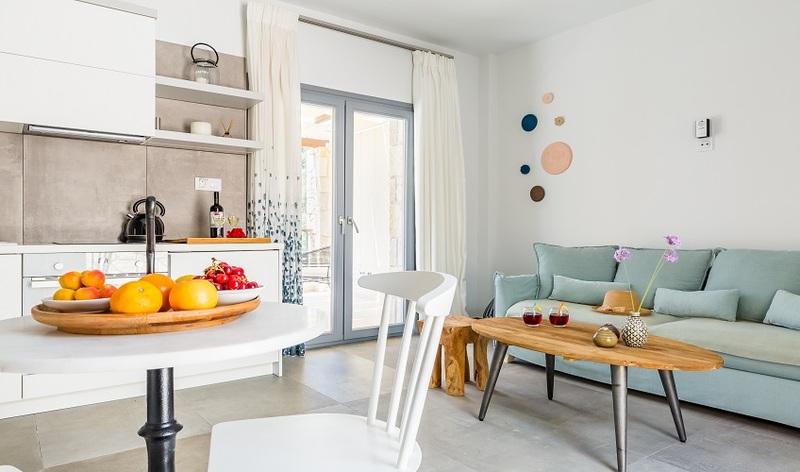 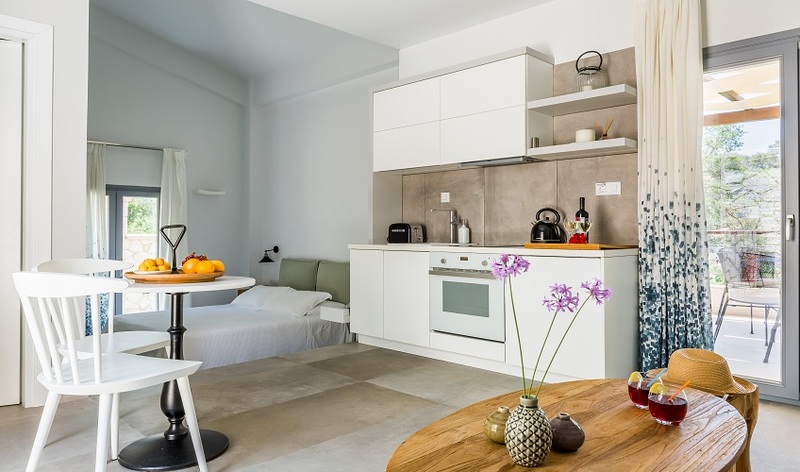 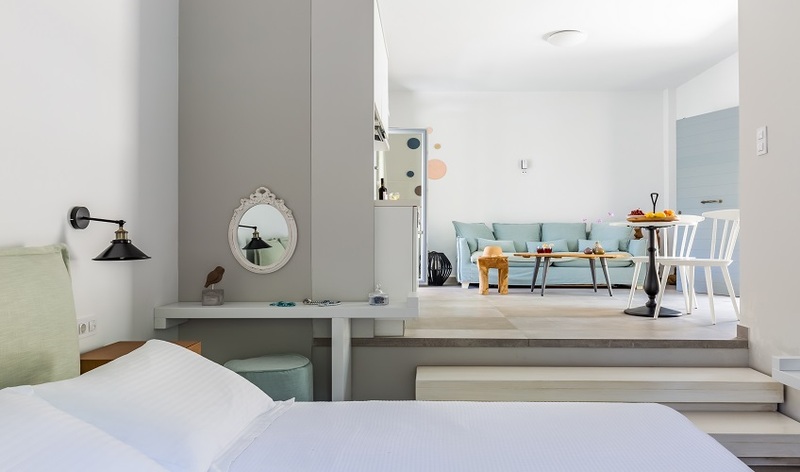 The charming Topos Villas are built on the side of an olive grove blending harmoniously into the natural environment. 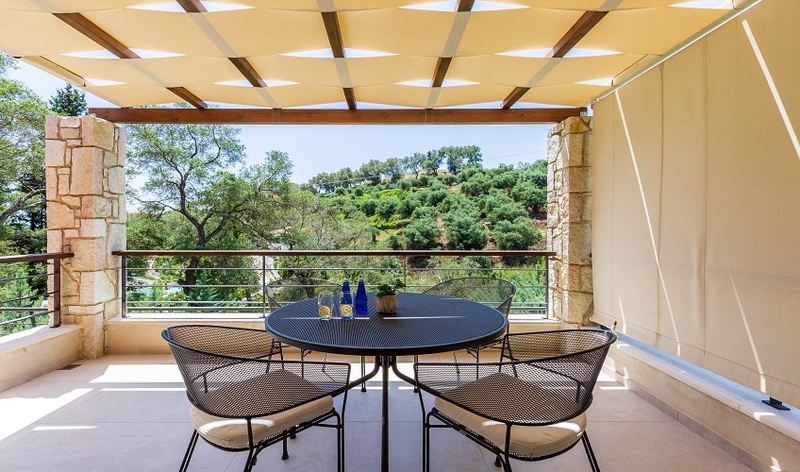 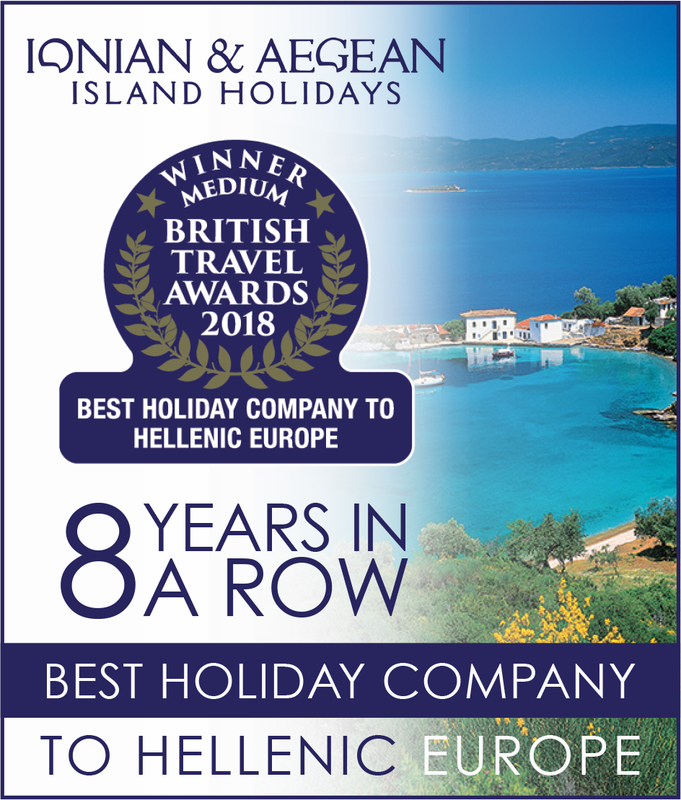 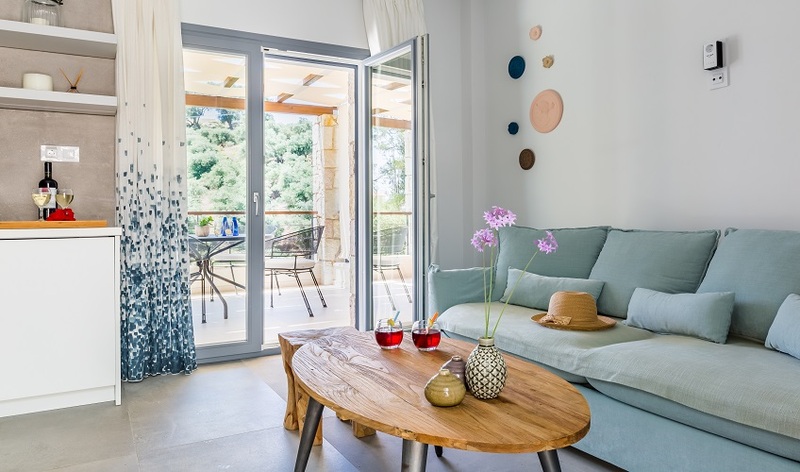 The exterior spaces offer moments of relaxation in an idyllic setting surrounded by trees, flowers and olive groves, emphasising the Mediterranean character of the region whilst making the most of their wonderful views. 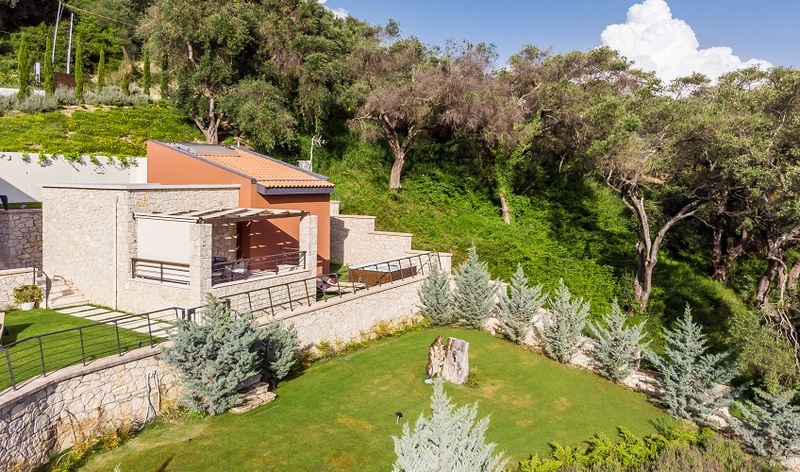 The villa is stone-built and blends perfectly with the natural environment. 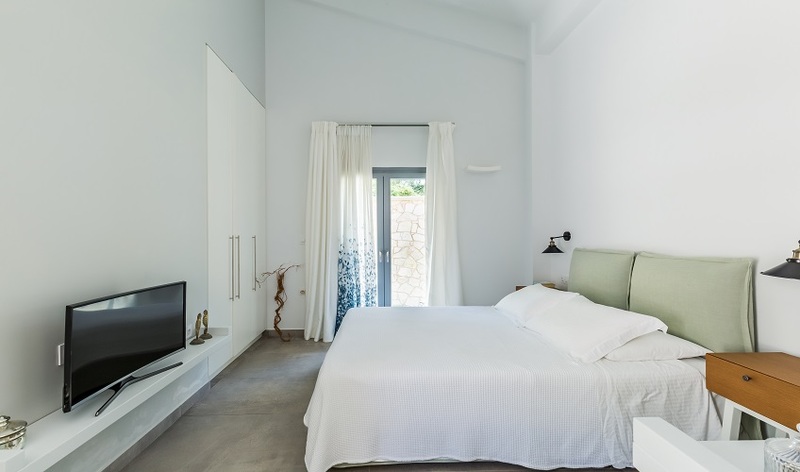 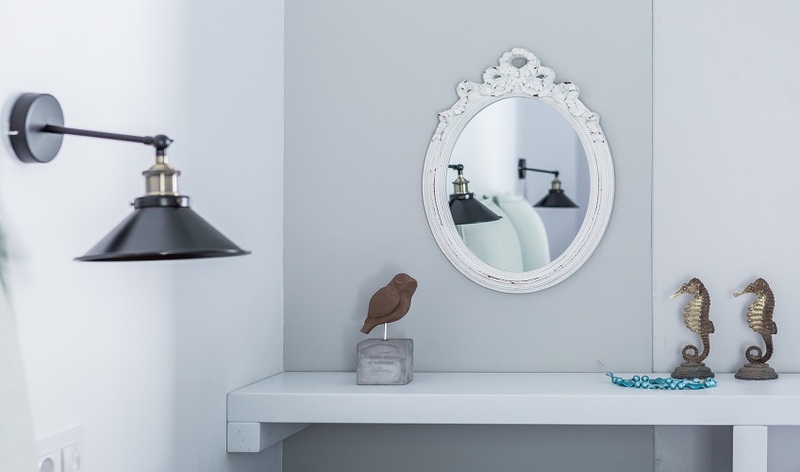 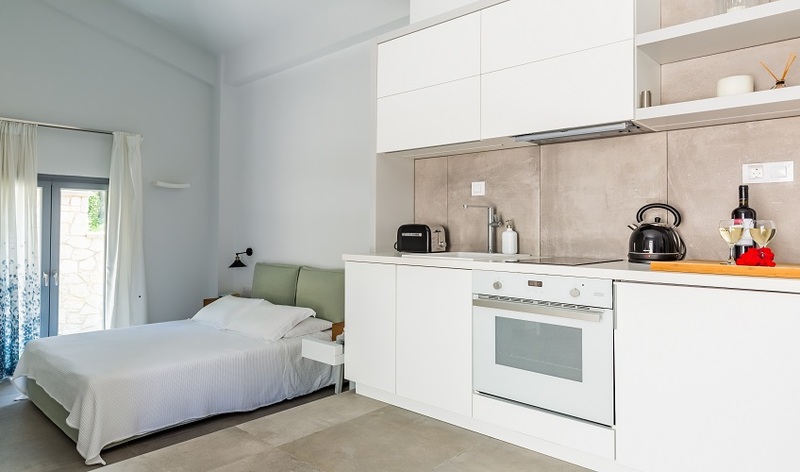 This villa is unique and furnished in a modern minimalistic style. 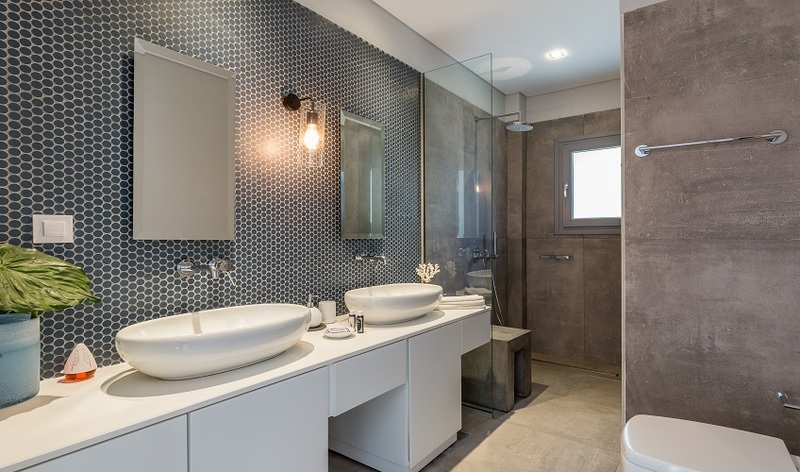 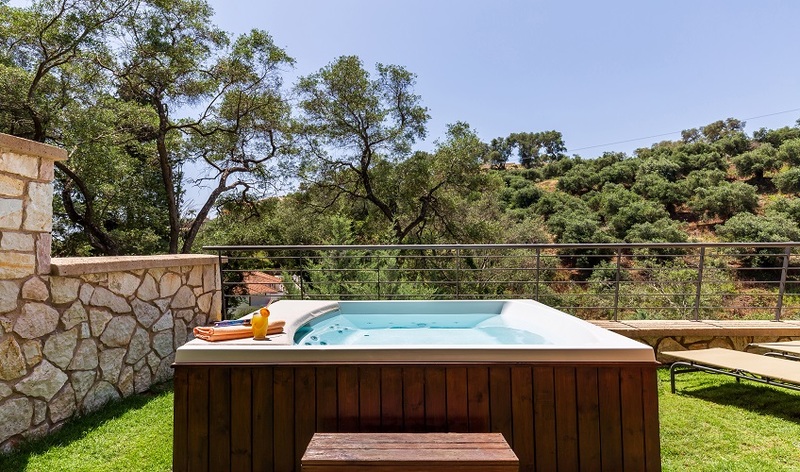 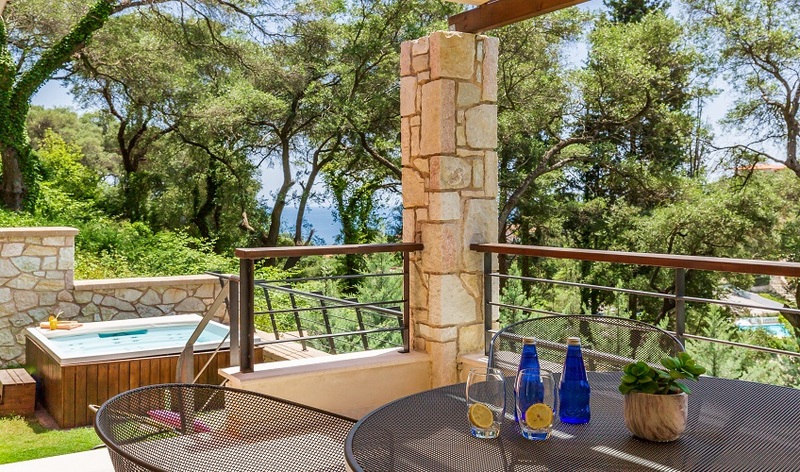 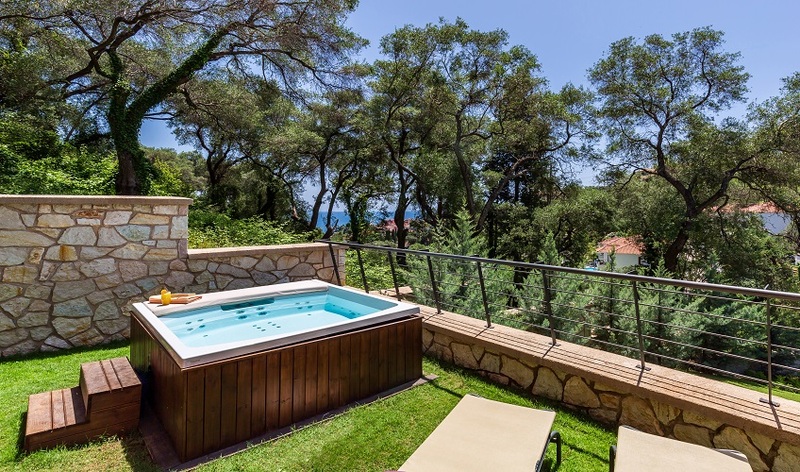 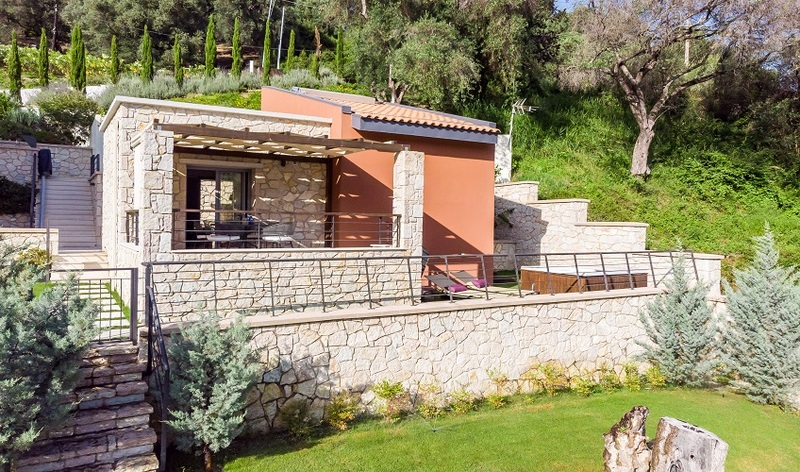 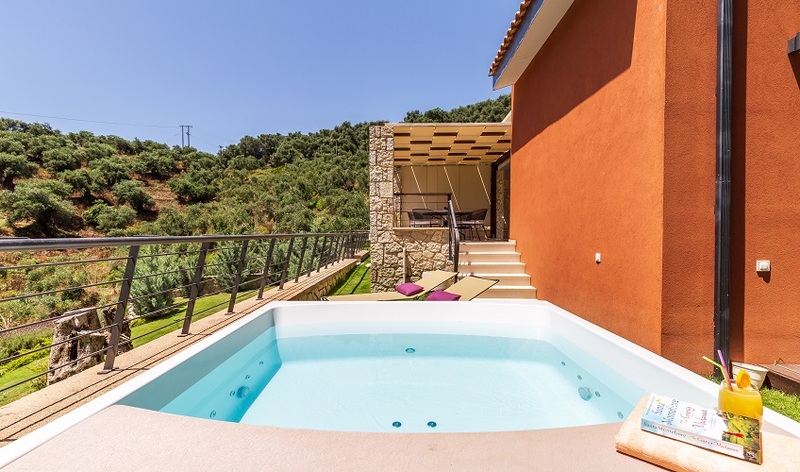 The Villa is all on one level and opens out onto a private patio with a ‘hydro spa’ perfect to unwind and relax.